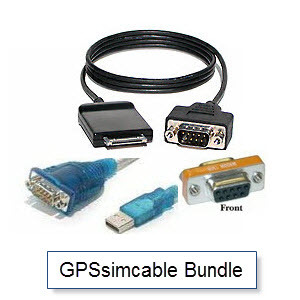 The GPSsimcable.com Cable connects iOS devices to external navigation devices that use the NMEA 0183 protocol. It is designed for use with iPhone 4s, iPhone 4, iPhone 3GS, iPod touch (fourth generation), iPad 2 and iPad including new *lighting connector. Click here to view installation video.